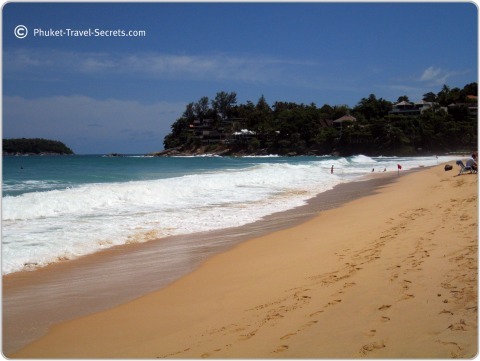 Kata Noi Beach Phuket is the perfect destination for a relaxing beach vacation. Kata Noi is a small bay located just south of Kata Yai, the beach is much smaller then Kata Yai, and framed by picturesque mountains. Kata Noi is another popular beach, and one of the best small beaches in Phuket, for visitors looking for rest and relaxation. Whilst it might not have as many facilities as Kata, Karon and Patong Beaches, all of what you need is no more then 5 minutes away. As with most beaches on the Island, throughout the high season, you will find a range of water activities available at Kata Noi, including para sailing and banana boats. At high tide the southern end of the beach is one of the best places for snorkeling with lots of tropical fish. Surfers flock to both Kata and Kata Noi Beach during the rainy season, from May to October, as they are the best surfing locations in Phuket. The best spot for surfing at Kata Noi is towards the northern headland. Hobie cats and kayak hire is available at Kata Noi for around 200 baht an hour. You can also hire a longtail boat and head south towards Nui beach. Kata Noi has mostly calm seas, except from May to October when the beaches can be dangerous. Remember to always check to see if the red flag is up before going in the water, and if it is don't go in. 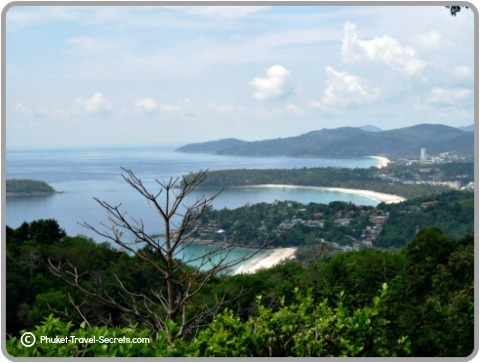 A must to do when visiting Kata Noi is a visit to the Viewpoint where you can take in the best views of the three bays of Karon, Kata and Kata Noi. The viewpoints proper name is Karon Viewpoint but everyone calls it Kata Viewpoint. The popular Katathani Beach Resort Phuket covers the northern half of the beachfront, although you can access the beach from the southern end. There is a very good range of accommodation at Kata Noi, from 5 star resorts, private villa's and a few small guesthouses located close to the beach. If you are looking for a romantic place to stay for your honeymoon in Phuket, Kata Noi is one of the best areas around the southern Phuket to stay, offering a very relaxed and romantic atmosphere. The area around Kata Noi is also very family friendly, and is an ideal destination if your travelling with kids. 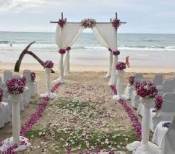 The Katathani Beach Resort is set in a beautiful location at the northern end of the beach. 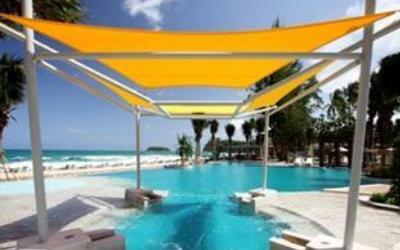 Mom Tri's Villa Royale Hotel is located on the headland overlooking Kata Noi Beach. This secluded five star resort is perfect for a romantic getaway. Read more on Agoda. The Shore at Katathani is a luxury five star pool villa resort. 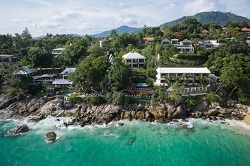 The resort is set on the hill at the southern end of Kata Noi Beach Phuket with spectacular views. 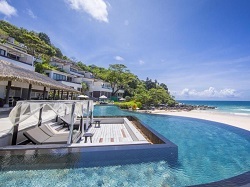 Impiana Private Villas are located on the headland with stunning views over Kata Noi Beach Phuket. You will find lots of tailors and a range of convenience stores in Kata Noi. 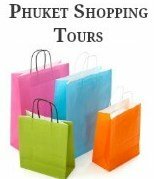 Unfortunately there is not much else, so if you are looking for places to go shopping head over the hill to Kata or Karon. These areas have everything you will need including billabong shorts and shirts, fake DVD's and lots more. Some of the best restaurants in Phuket can be found at Kata Noi Beach Phuket. A short walk up the hill towards Kata is Mom Tri's Kitchen a world famous restaurant which offers delicious cuisine in a beautiful setting overlooking the sea, serving both Thai food and international food. At the bottom of the hill is Kata Noi Seafood and in front of the Katathani Beach Resort is the Beach Club which has a great lunch menu. Try the local seafood restaurant near the Katathani Beach Resort, they serve some great local food at affordable prices. For Italian food you might like to try La Scala located in the Katathani wing at Katathani Resort. Or jump in a taxi or tuk tuk and make your way to Sabai Corner Seaview Restaurant, the meals are delicious and the views from the bar and restaurant are simply amazing. Kata Noi is quiet and secluded, with not a lot of night time action, but you will find a couple of bars. For many visitors that stay at Kata Noi, most enjoy dinner over a couple of glasses of wine or a cocktail. If you are looking for more nightlife, you will find more to do at night in Karon or Patong. 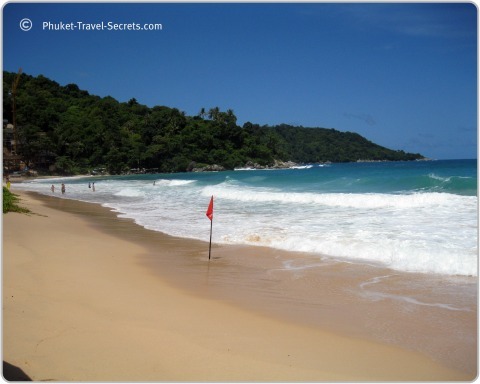 Kata Noi Beach Phuket is a little further south, follow the road to the end of Kata, turn right into Kata Noi Road.